Is there anything more fun than combining exciting travel plans with delicious food and drinks? Make memories with your palate during your next Pennsylvania vacation, and get ready to discover the best of wine in the Pocono Mountains! Visit fantastic wineries, attend amazing wine events, and have the best time ever at our gorgeous resort! Remember to download our free Vacation Guide before making any travel arrangements! It gives you all the top recommendations for local restaurants, museums, shops, events, outdoor adventures, and more. Stay in the Best Resort in the Pocono Mountains! The weather in the Poconos Mountains makes it ideal for wine grapes to thrive. This advantage combined with great passion allows Poconos wineries to produce fantastic wine. As you map out your itinerary, be sure to add these three great wineries to your list! Just minutes from Silver Birches Resort, Antler Ridge Winery’s tasting room sells award-winning wines, and winemaking supplies for the home. Located in Rome, PA, the winery works with local vineyards in partnership to feature Pennsylvania-grown varietals in their fine wines. If you wish to begin making wine yourself, the Antler Ridge Winery’s tasting room is also the ideal spot to find the supplies you need to succeed! If you are a romantic at heart, you will fall in love with Raw Urban Winery. It all started in 1994 with a love story: The owners met in California, fell in love, and started making wine together. 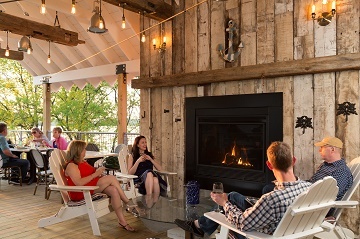 They opened the winery in 2015 after years of winemaking, and now offer some of the most unique and award-winning wines in the Pocono Mountains. Raw Urban Winery has two locations for their tasting rooms. Grassroots is on Gypsum Road in Stroudsburg is open Wednesday through Saturday between 12:30 and 6 p.m., as well as Sundays from 12:30 to 5 p.m. Their sister location on Main Street is open Wednesday through Saturday from 1 to 10 p.m., and Sundays between 1 and 7 p.m.
Mountain View Vineyard and Distillery is a 90-acre farm with thousands of vines that you can tour on Saturdays and Sundays at noon. Tours of the distillery are also available on Saturdays and Sundays at 2 p.m. While visiting the vineyard, sample their wine for $5 which includes five wine samples and a souvenir wine glass! 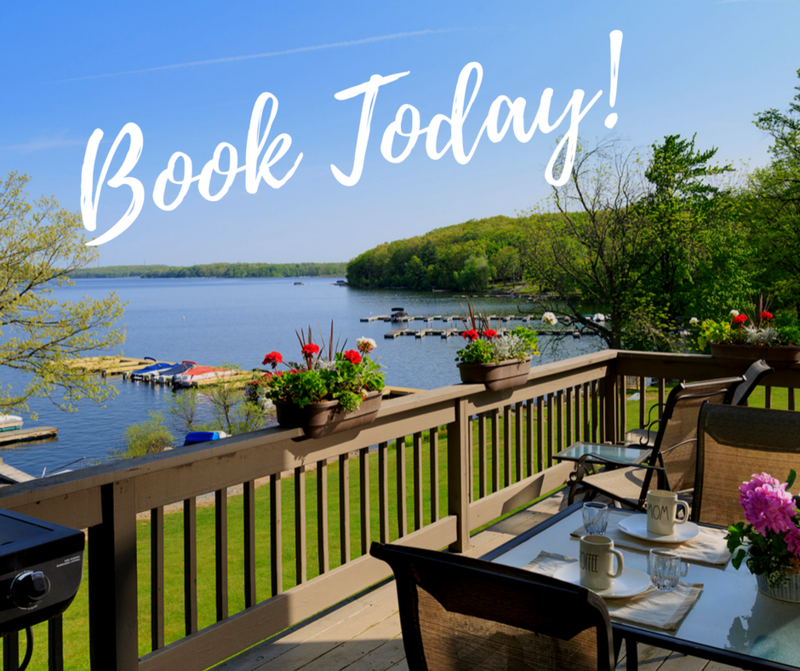 Picture yourself with a glass of red in hand with your friends and family in a beautiful location overlooking Lake Wallenpaupack in the spring. 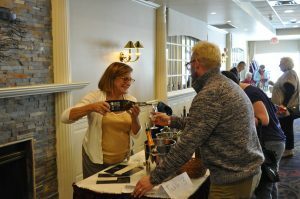 The Wally Wine Fest at the Waterfront at Silver Birches Resort is the perfect occasion to learn about wine tasting and discover a wide variety of special cuvées from around the globe. Wally Wine Fest is a great way to celebrate Pennsylvania’s wines. Learn about 100 different wines sourced from right here in the U.S., as well as from France, Italy, Spain, Australia, New Zealand, South Africa, and Argentina. Experience the “density” of young wines or the cedary touch of Cabernet Sauvignons. Develop your sense of taste and learn how to appropriately “sniff” wine to identify the different aromas and bouquets. Whether you are a beginner in the world of wine tasting or an expert, Wally Wine Fest appeals to everybody. Each table has a representative on hand to pour you a glass and answer questions. Learn new skills in a fun and relaxed atmosphere, and meet people who are equally passionate about wine as you are! To make it even better, all of the featured wines are for sale, and there is something for every budget. Purchase a bottle or two to take home and enjoy with your friends and family. On top of serving fantastic wine, the Wally Wine Fest also offers mouth-watering appetizers for purchase and a complimentary charcuterie table in the center of the room. If you are craving something sweet, don’t worry! We’ve got you covered too. Stop by our Mill Market Bakery stand where you can find treats such as crusty baguettes and a variety of cookies. You can also enjoy live music during the event. A local band plays well-known songs to entertain you and make this special occasion even better. Advanced tickets for this highly anticipated event are $25 and $30 if you buy them at the door. This includes 15 sample tickets, a commemorative wine glass and access to our charcuterie table. VIP tickets are also available for $50. This includes 25 sample tickets, one seminar ticket, a commemorative wine glass and access to our charcuterie table and early access to the festival (11 A.M.). Platinum tickets are $150. This includes 30 sample tickets, two seminar tickets, a commemorative wine glass and access to our charcuterie table and early access to the festival (11 A.M.). You also get two-day access to the wine festival (both Saturday & Sunday) and the premium wine dinner at The Settlers Inn. January is the month when the largest agricultural event in the nation takes place: the Harrisburg Pennsylvania Farm Show. This eight-day festival features more than 32 wineries from all across the state and is a one-of-a-kind event for wine lovers! You get the opportunity to taste memorable cuvées and even get a peek at the famous butter sculpture! The Wine, Cheese, & Honey Pairings event is organized by Penns Wood Wineries, which offers each year a highly anticipated tasting of five of their best wines, all accompanied by a variety of cheese and honey! This tasty combination is a match made in heaven when it comes to flavors. The richness of the cheese creates a deeper taste when enjoyed with a glass of red, and note how the honey sweetens your favorite white. Every October, the Bethel Woods Center for the Arts organizes an event you don’t want to miss. Taste a variety of wines from the area, listen to live music, play games, buy wine-related products and sample tasty food. Relax in the stunning setting, with the Bethel Woods scenery in the background and enjoy the incredible acoustic the curve downhill creates! To stay warm during the colder weather, attending a wine festival is the perfect solution! Discover some of the best Pennsylvania wines along with comforting hot meals provided by the wineries at the Winter Warmer Wine Tasting Weekend! Some of the menu items include hot soups, stews, and cheese-based dishes that will reveal hidden flavors and can turn this tasting experience into a real explosion of flavors. 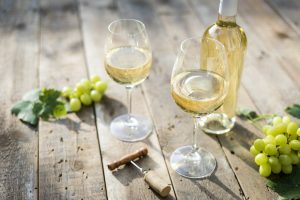 A variety of wineries throughout the Berks County wine trail are participating, so start planning your itinerary today! The Winter Wine-derland is a merry wine festival in PA held each February. This event is the perfect opportunity to eat delicious food and sit around a fire pit with your loved ones, or listen to live music while trying specialty cocktails like the Chaddsford Cocoa! The Winter Wine-derland festival will entertain all generations, so don’t hesitate to bring the entire family. Now that you know everything about wine in the Pocono Mountains, it’s time to plan your trip! Silver Birches Resort is the perfect place for you and your loved ones. Our beautiful accommodations are made for you to relax and unwind from your everyday worries. 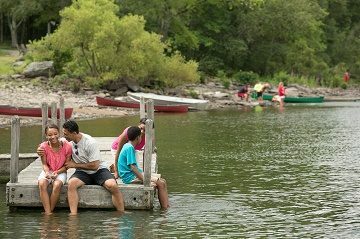 You can breathe in the fresh air of the forest, gaze at the sunset over the lake, and indulge in a myriad of fun outdoor activities, no matter the season! Take a look at our bunkhouse, for example! 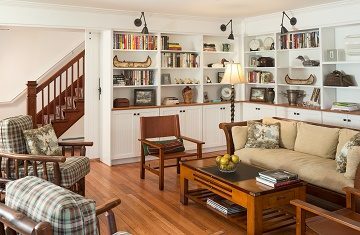 After taking a long, hot bath in your private bathroom, relax on your porch and let the stunning view of Lake Wallenpaupack dazzle you. Start the next day feeling refreshed and enjoy a hearty breakfast at The Dock. You will also have a wonderful time exploring all the nearby attractions. Spend the day enjoying the lake, have dinner at The Dock, go into Hawley to check out the Hawley Silk Mill, and more. Don’t delay and come to see for yourself how wonderful a Poconos vacation can be!